Solving the issues and challenges of water damage in all its forms is what keeps our professionals with 911 Restoration of Baton Rouge in high spirits and always at the top of their game. Our experts are all IICRC certified and more than prepared to take on the extremes of any kind of restoration related trouble that your home or business may require. 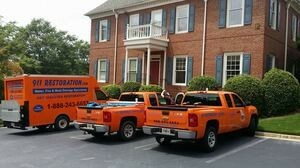 Restoration work for water damage emergencies, sewage backups, mold contamination, fire and smoke damage issues, or any other kind of natural disaster requires a trained, prepared, and trustworthy expert with years of experience in the field and the confidence to take on any trouble that arises. This is one of the reasons why our professionals are all ready for any crisis and can arrive on-site within 45 minutes to provide relief from whatever troubles your home or business may be experiencing. In addition to a fast response time, our specialists are available 24/7/365 for just such emergencies wherever they may occur. Water damage involves any situation where water has infiltrated an area where it should not be. This can include carpeting, drywall, flooring of all kinds, and even the materials that structurally support your home. Allowing water damage from any source to linger is a virtual guarantee that more damage will be caused and more costs incurred as a result. This simple fact is why our teams are quick to any emergency and they bring all of the pumping gear and drying technology that will be needed for the job. Water damage can spring up in any home or business if the conditions are ripe, and in all of Louisiana there is no shortage of water to worry about. Let our experts with 911 Restoration of Baton Rouge provide you with a Fresh Start by rapidly responding to the scene and providing quality and affordable water damage cleanup to your home or business. Water damage has a profound ability to generate mold and fungus issues in its wake. This is because mold and fungus grow extremely rapidly given the right conditions, and a water damage incident creates a perfect storm of possibility for a black mold spore to take root and ruin an entire room in short order. Mold spores float around in the air, and with any kind of water damage, or even a home that is too moist and over-hydrated, there is a chance of contamination. To avoid the worst that mold can do, you will likely need a professionally certified expert like ours with 911 Restoration of Baton Rouge. Our mold removal experts will provide a free visual inspection for all property owners. Call the experts at 911 Restoration of Baton Rouge for full mold remediation services and we will leave your property in a safe breathing environment that is guaranteed to pass the mold clearance test. Sewage issues are not to be left up to amateurs as this will almost certainly cause more damage, cost more in the long run and may even potentially endanger your life or that of your loved ones if not handled properly by experts like our professionals with 911 Restoration of Baton Rouge. Solving the issues presented by a sewage backup involves different disciplines within the restoration industry. This is why our professionals are equipped with all of the latest training and technology in everything from water removal to sewage procedures and even the rebuilding work after an incident has occurred. Sewage can come in many different forms, but none of these variations makes it any safer to handle on your own. 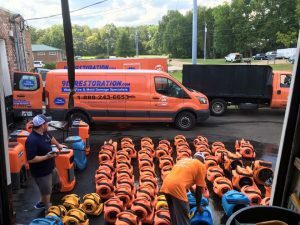 You should contact our experts with 911 Restoration Baton Rouge today to help with any sewage backup problem you may be having, even if it’s as simple as a toilet overflow because that can still cause health problems if handled improperly. Fires and the smoke that they cause are larger problems even when they are smaller fires, because smoke and the damage that it causes travels far and wide in a home when there is a flare up. In addition to the smoke damage that fires cause, they often also involve water damage repairs too because many times when the fire department is called to extinguish the blaze they use hundreds of gallons of water inside your home or business to do so. Taking on the challenges of fire and smoke damage restoration work is meant for certified specialists, and when there is an accompanying water damage crisis, your home needs professional help. 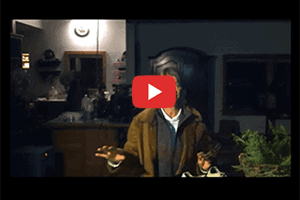 Don’t let the effects of fire and smoke damage make your home unsafe. Contact the fire experts with 911 Restoration of Baton Rouge for your fire cleanup today! 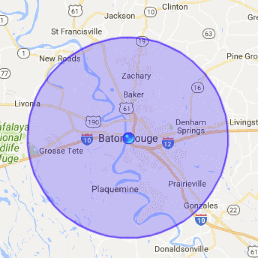 Baton Rouge is situated in a place of the country that has no shortage of disasters taking place nearby and this means that you will need trusted restoration professionals like ours nearby too. 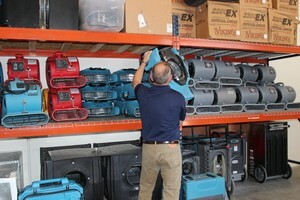 Our experts have all the experience and training needed to solve any sort of water damage incident from a hurricane, tornado, or fire that these weather elements can cause. Taking on the challenges of disasters is something that our experts with 911 Restoration of Baton Rouge know well, and they also know how stressful these situations can be for people. Keeping this in mind, our disaster restoration teams always make sure to put the customer first in every situation and up to date with information about the procedures of their restoration every step of the way. Don’t let your perfect home be destroyed by the perfect storm. Contact our specialists with 911 Restoration of Baton Rouge today for any kind of assistance that your home or business may need!